Website Design for law firms Manassas VA | Carluzzo Rochkind & Smith, P.C. 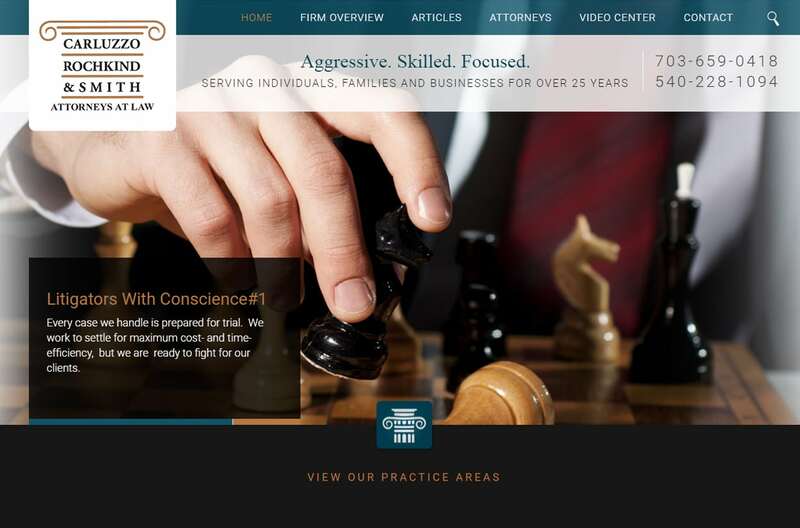 asked VISIONEFX to design their personal injury law practice website. VISIONEFX develops powerful law firm websites using full screen custom graphics. There are custom legal icons with detailed lists of links to interior pages. We also develop unique interior website pages using thoughtful application of text content, photography and consistent call-to-action contact boxes. The website features a video center for informational legal videos. VISIONEFX serves business owners throughout Manassas VA. We provide web design for small and large businesses throughout the USA. Our services to include; custom web design, web development, E-commerce web design, Word Press web design, Word Press plugin customization, Joomla web development, SEO – search engine optimization, web maintenance services, custom database and programming for custom web applications. Call: (757) 619-6456 or email info@visionefx.net.